​Liverpool Tree Surgeons Services are Tree Stump Removal and Tree Stump Grinding Specialists. Click here to call our Liverpool Tree Surgeons. ​Time To Bump That Stump. Do you have a severely damaged or nuisance Stump? Liverpool Tree Surgeon Services are equipped to provide a superior Stump removal service for the Liverpool and wider Merseyside area. 1. Free Assessment and Estimate. We’ll give you a free assessment and estimate that will be fully inclusive, with no extra charges if the job becomes harder than planned. Also, if you want to know whether there are any other alternatives to removing the whole stump such as using a tree stump grinder, we can assist there. There’s no hard sell to the most expensive method with us. ​2. Need to Remove it? There are some pretty obvious situations that require removing tree stumps. If it is dying or poses a safety hazard, it needs to go. Also, if other plants and trees are suffering around the stump due to lack of nutrients from the soil, then it would also make sense to remove it. 3. Fully trained team. 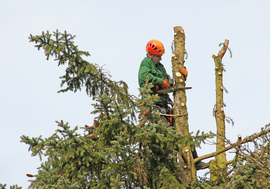 Our tree surgeons are trained, experienced and professional. We are experts at not causing any damage to your property or any other vegetation near the stump that has to be removed. 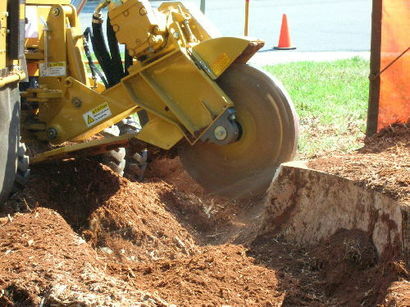 Our stump grinding service concentrates solely on the tree stump. 4. Safety First. Safety is always on our minds, so you can be certain the job will get done in the safest way we can. 5. Clean-Up. Our clean-up efforts are incredibly thorough, so you will be left 100% satisfied, able to forget that you had that nuisance of a stump in the first place. If there’s a hole left that needs filling we’ll also take care of that as part of the stump removal cost, as a thank-you for using our service. So turn to us to free you of any damaged or nuisance Tree Stump that you may have. The professional equipment we have available can take care of some of the most stubborn tree stumps. So whether it’s big or small give us a call on 0151 380 0007. Or you can simply fill in the form on the right for a ‘No Hassle Guaranteed’ FREE assessment and estimate. We pride ourselves in offering a professional tree care service for affordable prices in the Liverpool area.